Today we’d like to introduce you to Janine Kwoh. 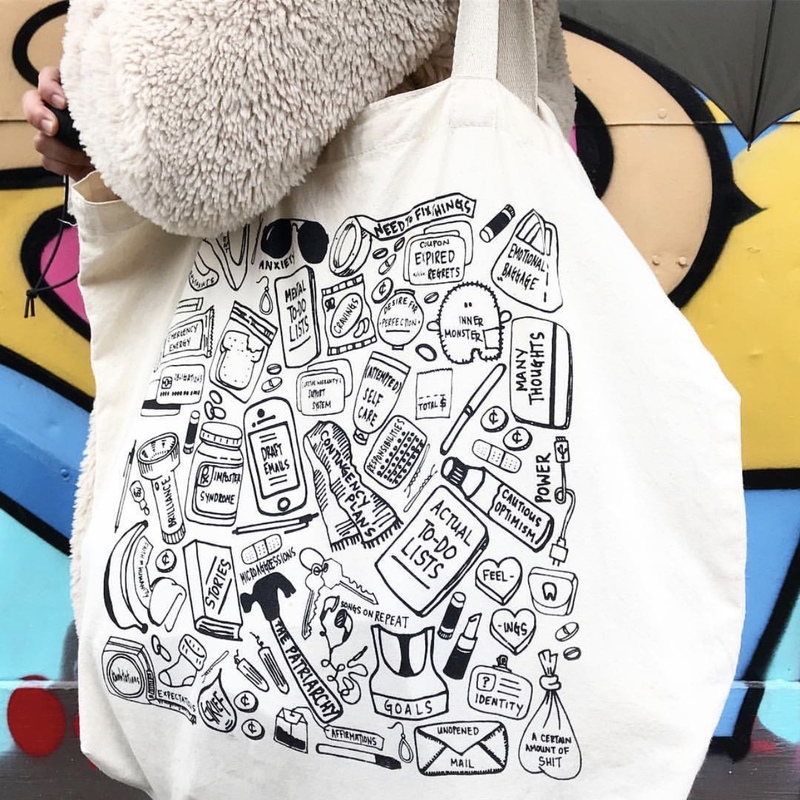 I bumbled my way into becoming an artist and running a small creative business – without much in the way of a plan or self-confidence, but with a general curiosity and a penchant for building things, and the outsized and unflagging support of friends. In 2011, I was having coffee with my friend Amy, reminiscing and laughing over our assorted adventures, sticky moments, and personal triumphs over the years. We joked that someone should make greeting cards for all of these random occasions, for all the things we really think and sometimes want to say – like when we get too drunk (it’s embarrassing) or have ambiguous feelings for someone (it’s confusing) or decide to pursue our passions despite a myriad of pressures to do otherwise (it’s terrifying and exhilarating). 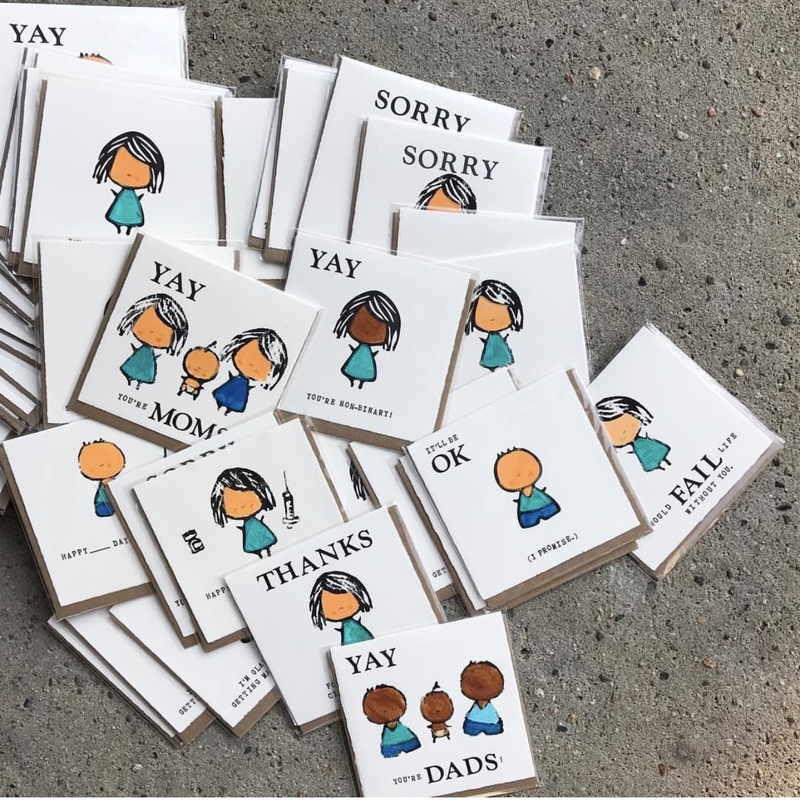 When I got home, I made a few of the cards, just for a laugh – it wasn’t my intention to share them publicly or turn it into a business. 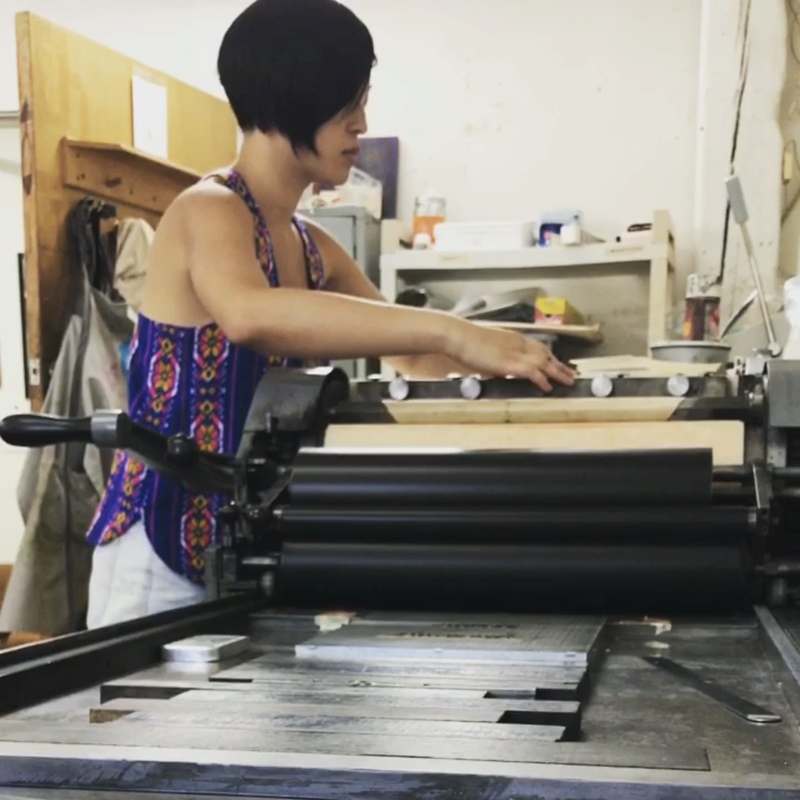 Since making those first cards seven years ago, I’ve opened up a handmade greeting card business, Kwohtations; wandered into the world of letterpress and blockprinting; sold my art at craft fairs, online, and to retailers; and dipped my toes into custom illustration and experimenting with other products. I think businesses are often portrayed as overnight successes run by risk-taking entrepreneurs who chose their vision over convention and won big. On the other hand, I’m the type of person who was a business economics major because it sounded employable, who has high levels of social anxiety and the kind of immune system that needs health insurance. Each step further into embracing the titles of “artist” and “entrepreneur” has been slow and tentative, and each additional investment of time or money has come with a fair bit of second-guessing. Most important to me is the fact that, despite all this, I haven’t stopped. My vision for Kwohtations and confidence as an artist and creative business owner has grown over time, along with my art. Creating and sharing art, for me, has become a meaningful, tangible way celebrate real life and real people, to provoke people (including myself) into self-reflection, and to insert a bit of joy and humor that I think is so critical to surviving hard times. I stumbled into it, but now I can’t really imagine my life without it. Many of the images and narratives that we regularly engage with distort or erase the complexity and diversity of our lived experiences. Mass media shapes our identities and interactions in powerful ways; it teaches us how things “should” be – what love and family should look and feel like, what it means to be beautiful and good, what parts of ourselves can be expressed or should be kept hidden, what we should aspire to and what we’re worthy of having. It influences the judgments we make about others, and who we value and invite into our lives. Some likenesses, voices, and stories are well-represented in meaningful and multifaceted ways; conversely, other pieces and people are often reduced to flat characterizations or even non-existence. I believe that expanding the types of images and stories we see and share is critical to radically changing the way we view and treat each other and ourselves, and to moving us toward becoming a truly more inclusive and open society. In my art, I attempt to shift and splinter prevailing narratives by offering up my own truths – about navigating love and loss, about searching for an authentic voice, about (re)defining family and identity and success, about bearing witness and figuring out what it means to be responsible to ourselves and others. My hope is that others might recognize some of themselves and feel a bit more seen, more connected, and less alone. Much of what I create is about lifting up and embracing that we are all wildly complex and different, and yet at our core are so much of the same – and all of the messiness and beauty and power that comes with holding those two truths together. 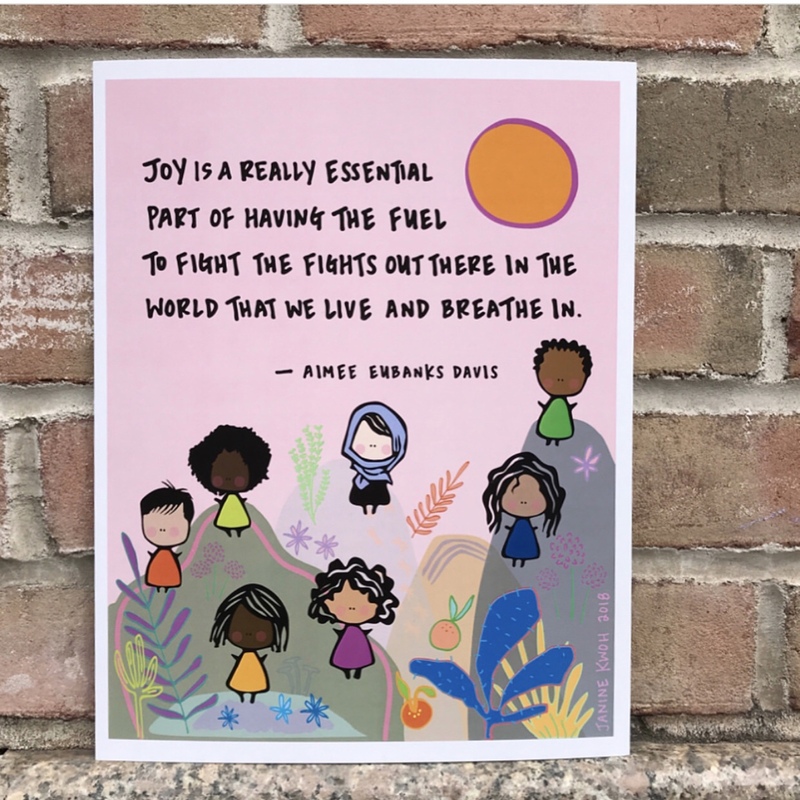 And, always, that humor has a critical role in our ability to find connection, joy, and healing. 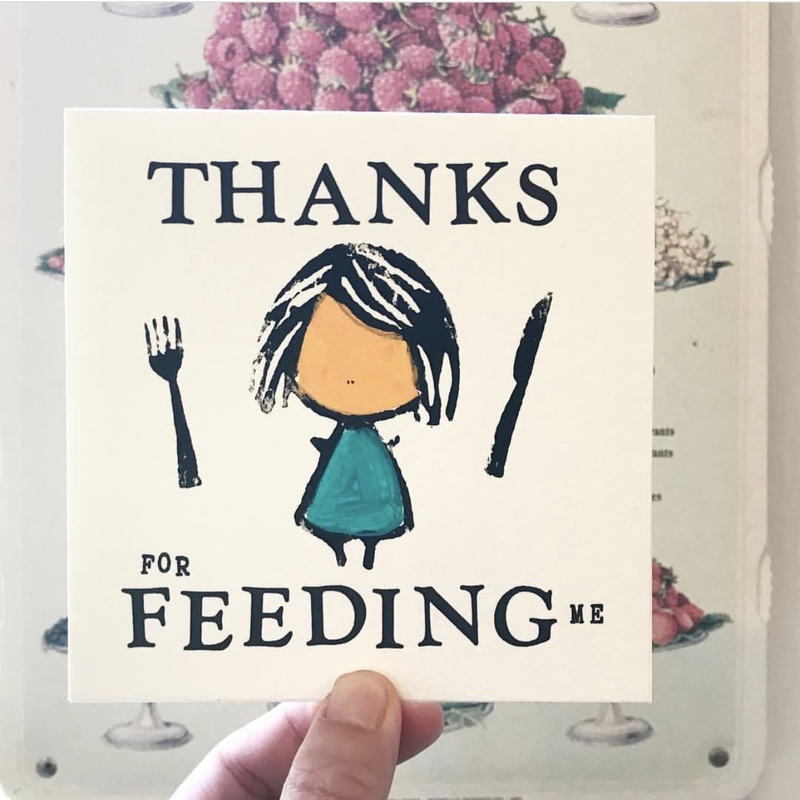 I primarily create handmade greeting cards – each card goes through a three-step process: 1) the words are printed on an antique printing press; 2) the characters are block-printed with linoleum blocks based on my own drawings, and lastly, 3) everything is painted in by hand. I’ll make a few thousand cards each year this way – it’s a pretty labor intensive process, but I like the texture that you get from the mix of letterpress and painting, and the fact that literally no two cards are the same. 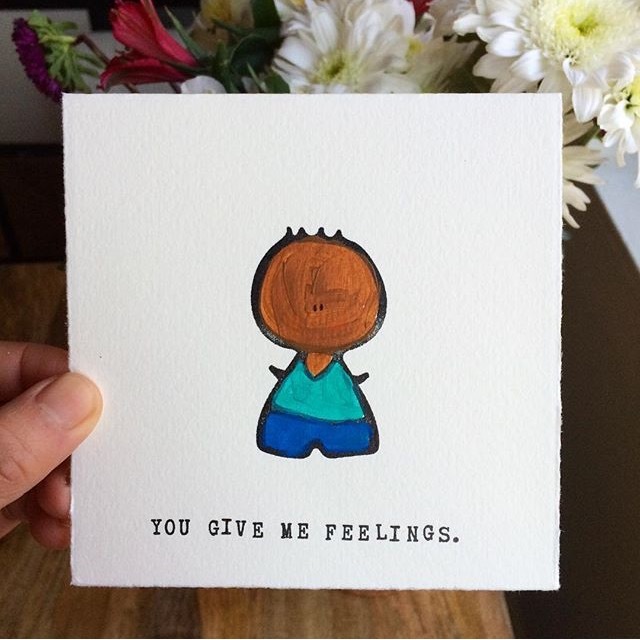 Greeting cards may seem like a strange choice, but I think that they reflect what we as a society think is important to acknowledge or celebrate. We send cards when we think an occasion is meaningful enough to demand more than the customary email (e.g. new baby, mother’s day, and weddings). 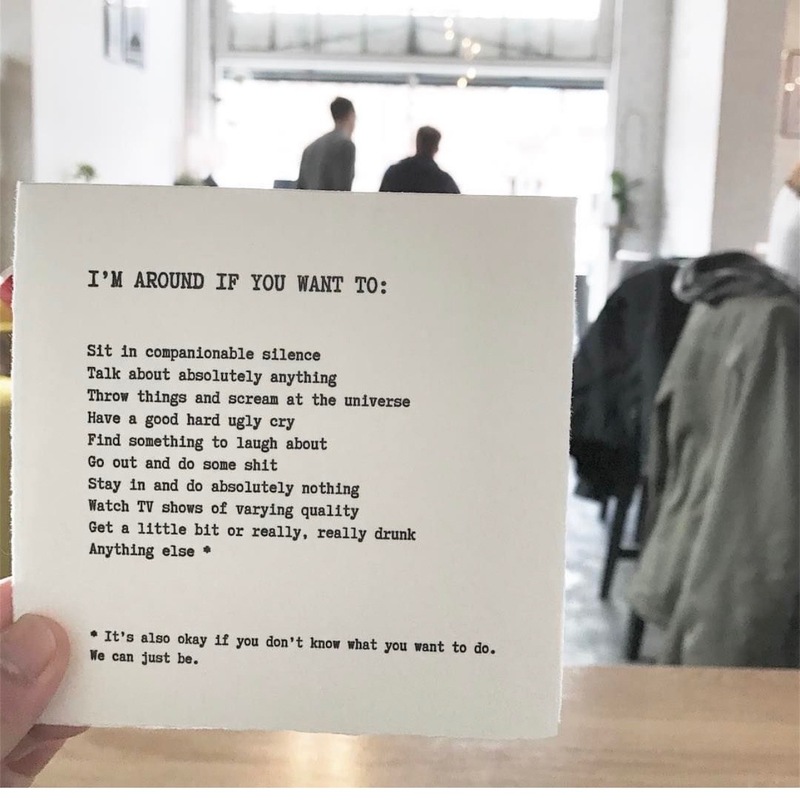 The types of greeting cards that are readily available signal about which we think are the milestones and people that are important enough for us to be commemorating, and conversely, which are not. I think it’s important to challenge those assumptions, and to make space for the diversity of identities and life experiences that exist in real life. Why shouldn’t there be a “Yay, You Have a New Pronoun!” card next to the “Happy Birthday” cards? 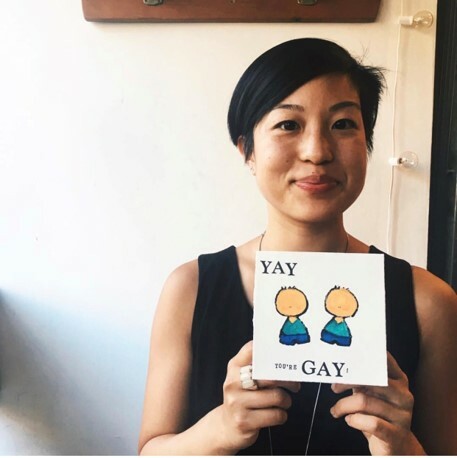 Why shouldn’t there be more wedding card options for LGBTQ or interracial couples, or cards in general that feature people of color? There should be. 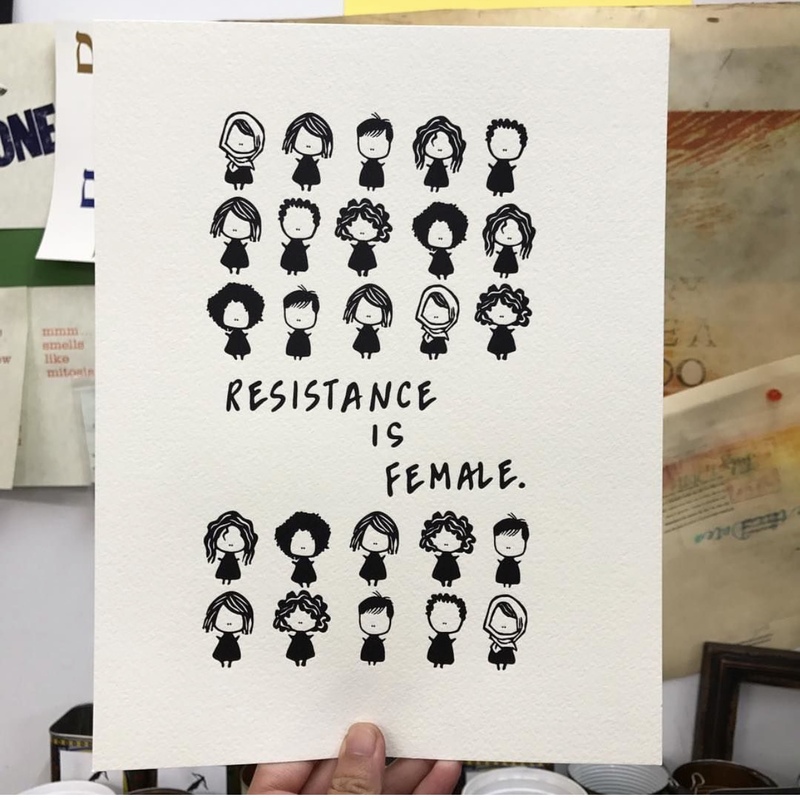 More recently, I’ve started experimenting more with other mediums and styles (art prints, tote bags, tea towels), which has pushed me to get more creative and opened up design possibilities beyond what will fit on a 5″ x 5″ greeting card. I’m excited to see what happens next. I think there is still a pervasive idea that art can be beautiful or meaningful, but not necessarily useful. The impact or “utility” of artists is not as readily seen or acknowledged as those of other professions. But the truth is, art is central, not only to reflecting our world back at us, but to helping us imagine a better one. Art moves us. It shows us places and lives that we may otherwise never see or understand, it shares stories and builds connection, it shapes thoughts and spurs action. Art inspires hope and drives change, and right now we desperately need both. 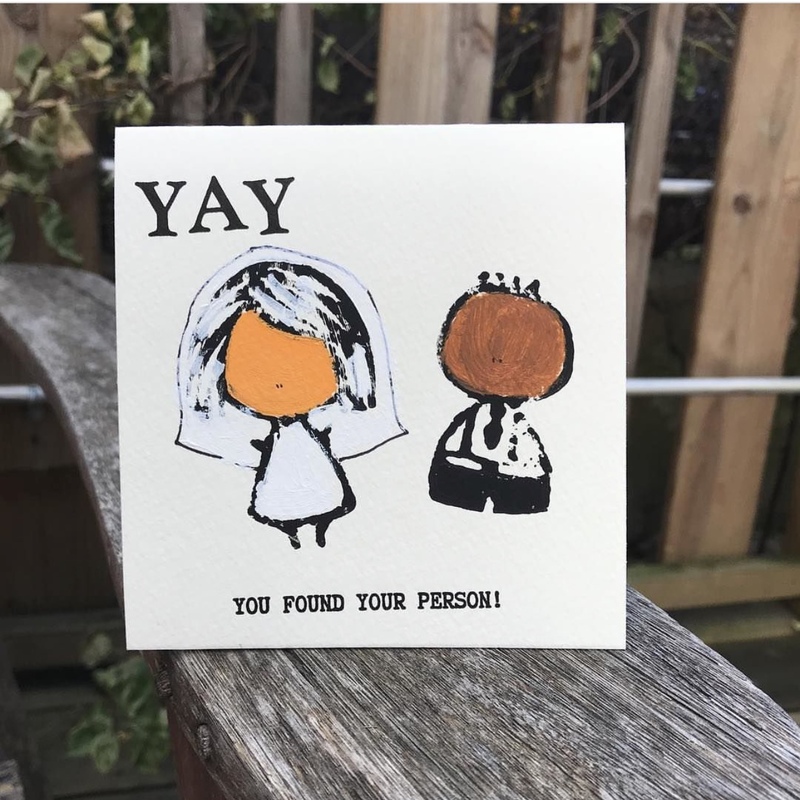 The Kwohtations website (www.kwohtations.com) has links to my online shop where you can see all of the current products, as well as to my blog that I update sporadically with longer musings on life and cards. On social media, I’m most active on Instagram and Facebook (@kwohtations), where I post more about the process and inspiration behind the work, the ups and downs of being a maker and small creative business owner, and larger issues about the society we have a hand in shaping that I feel are important to raise up and discuss. If people would like to support me and my work, they can go directly to www.kwohtations.etsy.com. For those in the New York City area, I also post about local pop-ups and events that I’ll be participating in, and love meeting people in person if they have a chance to drop by.